Volunteers are involved in children’s ministry as well as updating child profile information and photos. In addition, team members help children create correspondence for their sponsors. 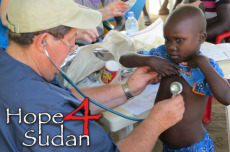 Health professionals and non medical support workers serve by traveling into remote areas to host medical clinics and give vaccines to the villagers.